Morgan Turner follows through on the Riot's last second winning field goal. REGINA - For a short time, it appeared it would be a happy bus ride home for the Saskatoon Valkyries. The four time defending Western Women’s Canadian Football League champions looked to be on the verge of advancing to a fifth straight league title game. Thanks to an amazing fourth quarter rally, the Valkyries erased a 28-7 deficit to surge ahead of the Regina Riot 29-28 on a 25-yard touchdown run by Sam Matheson with 1:26 to play in regulation on Sunday at Mosaic Stadium. The Riot responded with a gutty final drive that ended when Morgan Turner kicked a 12 yard field goal with 15 seconds to play to give the hosts a 31-29 victory in the WWCFL’s Prairie Conference title game. Regina advances to the WWCFL final to face the Edmonton Storm this coming Saturday at Investors Group Field in Winnipeg. The Storm dumped the Calgary Rage in the Western Conference championship game 51-14 last Saturday. “It hurts to lose plain and simple,” said Valkyries head coach Jeff Yausie. “It hurts a little less when you lose to a good football team, and Regina is a very good football team. “We missed some opportunities in the first quarter with the wind, and didn’t score any points. We could have used those, and I think it might have been a different outcome. The Valkyries had won every WWCFL title since the league’s inception in 2011. Entering Sunday’s game with the Riot, Saskatoon had won all 12 of its post-season games to date, which included eliminating the Riot from the playoffs in the Prairie Conference final in four consecutive years. Sam Matheson runs in her fourth major of the game for the Valkyries. The Riot are the only team to have ever defeated the Valkyries with two victories coming in regular season play. The second of those wins came this season courtesy of a 49-9 blowout on May 30 at Saskatoon Minor Football Field. Quarterback Aimee Kowalski, who has been with the Riot since the start, was elated to finally get a post-season victory over the Valkyries. Saskatoon had a couple of good chances to jump ahead at the start of the game, but Rienna Rueve hit the post on a 23 yard field goal attempt, and quarterback Stacey Boldt fumbled the ball away at the Riot 19 yard line. The Riot jumped ahead 7-0, when backup quarterback Sami Bray scored from a yard out on a quarterback sneak with two seconds to play in the first quarter. The lead grew to 16-0, when Kowalski hit Amanda Hungle on a 46-yard touchdown pass play, and Valkyries quarterback Stacey Boldt conceded a safety. Matheson scored on an eight-yard run to cut the gap to 16-7. Regina’s lead grew to 21-7 at halftime thanks to an 18 yard field goal by Turner and Boldt conceding another safety. Due to driving into a strong wind, Boldt conceded two more safeties in the third quarter, and Morgan kicked a 13-yard field goal early in the fourth quarter to give Regina a 28-7 edge. When it looked like Regina was poised for victory, momentum swung totally Saskatoon’s way. Boldt hit veteran receiver Marci Kiselyk on a long pass play that helped set up an 18-yard touchdown run by Matheson. Boldt proceeded to find Kiselyk again on a two-point conversion toss that cut Regina’s lead to 28-15. With 3:31 to play, Matheson ran in a score from 28 yards out to trim the Riot lead to 28-22. Her final major gave the visitors a one-point lead and visions of an epic comeback win. Riot receiver Claire Dore holds up the WWCFL Prairie Conference trophy. The Riot gutted their way downfield on their final drive thanks to some big runs by Kowalski and running back Carmen Agar, who both broke numerous tackles. That led to Turner’s winning kick. On the Riot’s game-winning drive, Kowalski said everyone on her offensive unit had a part in making big runs happen for her side. “Our O-line did an amazing job blocking,” said Kowalski. “Agar and I, we just kind of have a chemistry like no other. If you have any comments about this blog post, feel free to email them to stankssports@gmail.com. Check out images of the playoff clash between the Riot and Valkyries on Twitter @stankssports. 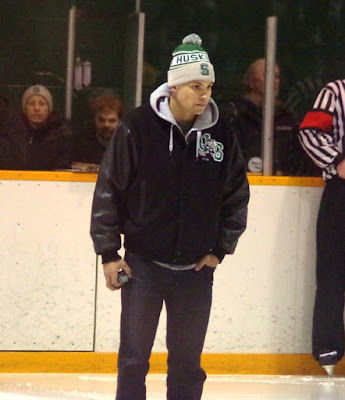 Cody Smuk at the Rutherford Rink on Jan. 30, 2015. If life success is determined by how many friends you have, Cody Smuk died a very rich young man. 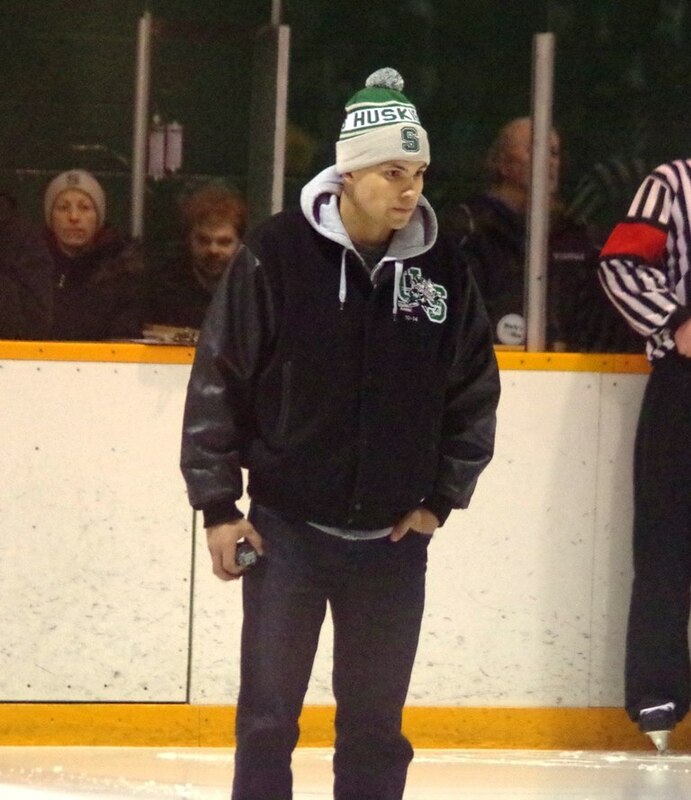 The hard-working, team-first former forward with the University of Saskatchewan Huskies men’s hockey team succumbed to a battle with cancer that lasted over a year early Thursday morning. He just turned 26 back on May 11. Smuk was living proof about how much the glue guy matters. As news spread about his passing, those that knew him quickly flocked to social media to post tributes. Even those in Saskatoon that didn’t know Smuk personally or didn’t follow the Huskies knew Smuk’s story and were sad to hear about his death. He grew up playing minor hockey in Saskatoon and moved on to spend four seasons in the WHL with the Chilliwack Bruins, Lethbridge Hurricanes and Moose Jaw Warriors. No matter where the stop was, Smuk was always one of the most popular players on the team he suited up for. That didn’t change when he returned to Saskatoon to play four seasons with the Huskies. Smuk was never the offensive star. He netted six goals and 14 assists in 89 career regular season games with the Huskies. Due to the fact he was good natured, easy going and genuine, he easily became one of the most popular players on his own team and amongst all teams that are part of the Huskies program. The man who always had a smile on his face ended up dating Stephanie Vause from the Huskies track team and the two were engaged to be married at the time of Smuk’s death. Because of his strong qualities of character, Saskatoon as a city and the hockey community at large repeatedly rallied for Smuk, when his diagnosis of testicular and lung cancer came out about two months after he helped the Huskies win a silver medal at the University Cup national championship tournament in March of 2014. 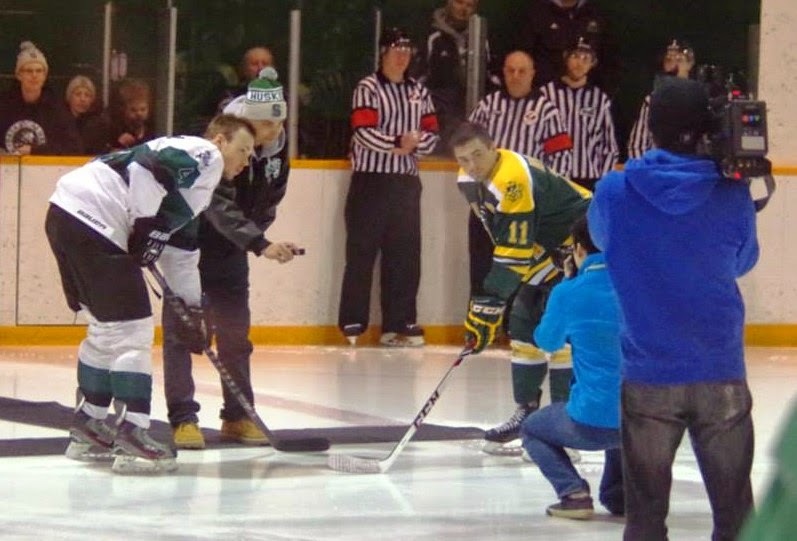 Cody Smuk drops the puck for a ceremonial faceoff on Jan. 30, 2015. Over the past 12 months, just over $116,000 was raised to support Smuk on a GoFundMe.com website page. Whenever Smuk encountered a serious challenge, the community responded with a surge of donations, which started with a $20,000 gusher over three days after the page was established in June of 2014. All sorts of people started sporting “Get Smuk’d Cancer” bracelets in another show of support. On Jan. 30, Smuk received a standing ovation at a packed Rutherford Rink, when he dropped the puck for a ceremonial faceoff before a men’s hockey match between the Huskies and the rival U of Alberta Golden Bears. 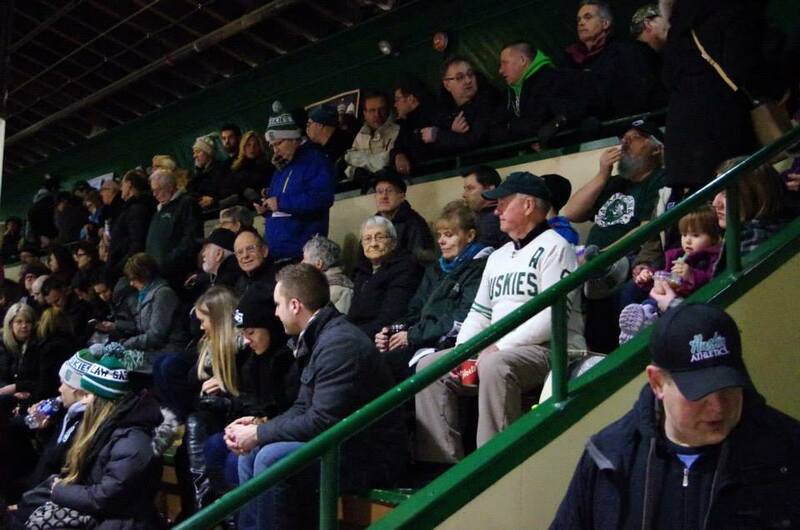 It was one of the most heartwarming moments to ever take place inside the 85-year-old rink. Just under $3,500 was raised for the Saskatchewan branch of the Canadian Cancer Society through a Marty’s Men fundraiser put on by the Huskies. When Smuk departed for Germany with Vause, his father Marty and mother Darla, to seek alternative treatment on April 26, about 100 people turned out on an early snowing Sunday morning to give the group a big send off at the John G. Diefenbaker International Airport. If you were there, you definitely could feel a great community vibe. That vibe returned at a steak night fundraiser that was held for Smuk at the Kinsmen/Henk Ruys Soccer Centre on June 4. This gathering included a number of current NHL players from the area in Luke and Brayden Schenn, Darcy Kuemper and Linden Vey. There were also a tonne of great characters that have character on hand who became friends with Smuk during his time in the WHL and the Huskies. 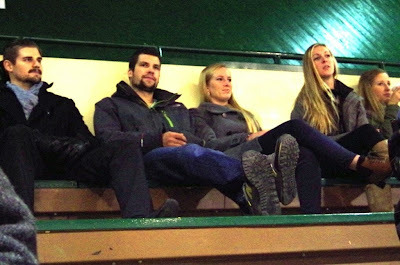 Cody Smuk and Stephanie Vause, centre, watch the Huskies in Nov. 2014. There was a huge and a very cool collection of silent auction items up for grabs including signed jerseys by Jonathan Toews, Tyler Ennis and George Reed. Washington Capitals goaltender and Saskatoon Blades graduate Braden Holtby contributed five big items including two signed game jerseys. Vause and Marty Smuk were in attendance and were visibly uplifted that night. Cody Smuk himself still hadn’t returned from Germany. Who knew this would be the last public gathering held to support Smuk, while he was still alive. After always approaching his cancer battle with an incredible upbeat attitude, Smuk’s condition deteriorated quickly this week leading up this his passing away on Thursday. On Friday, a tribute sign went up for Smuk in front of the Rutherford Rink reading “Rest easy Cody.” A memorial service will be held on Tuesday, June 30 at 2 p.m. at Elim Church. For one that always played with a huge heart on the ice, Smuk helped show how big of a community heart Saskatoon can have off the ice. Marci Kiselyk zips downfield for the Valkyries. Believe it or not, the Saskatchewan Roughriders regular season opener at Mosaic Stadium isn’t the biggest football related thing on everyone’s mind in the wheat province. On Sunday at 2 p.m. at Mosaic Stadium, the Saskatoon Valkyries battle the host Regina Riot in what is to date the biggest clash between the Western Women’s Canadian Football League powerhouse clubs. For the fifth straight year, the two clubs are facing off in the Prairie Conference Final. While the Valkyries took the previous four meetings on their way to winning four straight league titles, this meeting might be the most up in the air head-to-head match between these two clubs. The Valkyries and Riot each posted 3-1 regular season records and split their two head-to-head games. The Riot held the standings tiebreaker outscoring the Valkyries 68-37 in the two games. In the last meeting between these teams, the Riot bombed the Valkyries 49-9 at Saskatoon Minor Football Field. “We really want to redeem ourselves,” said Kiselyk. “We really want to play the way that we know that we can. The WWCFL’s Western Conference Final will see the Calgary Rage travel to Edmonton to take on the Storm at Jasper Place. Both teams were 2-2 in the regular season. The league title game between the two conference winners is set for July 4 at Investors Group Field in Winnipeg. If you have any comments you want to pass along about this blog post, feel free to email them to stankssports@gmail.com. A trio of Valkyries gang tackle a Wolfpack receiver. Now the Saskatoon Valkyries can look forward. Entering a Western Women's Canadian Football League Prairie Conference semifinal playoff game as a heavy favourite over the Winnipeg Wolfpack, the Valkyries had to avoid looking forward to the possibility of playing their provincial rivals the Regina Riot in the Prairie Conference final. On Sunday at Saskatoon Minor Football Field, the Valkyries stayed focused on the task at hand. They scored touchdowns on three of their first four offensive plays and romped over the Wolfpack 66-7. In Regina on Sunday, the host Riot thumped the winless Manitoba Fearless 73-0 at Mosaic Stadium in the other Prairie Conference semifinal. As a result, the Riot will host the Valkyries in the Prairie Conference final this coming Sunday at 2 p.m. at Mosaic Stadium in Regina. Before looking towards playing the Riot, Valkyries quarterback Stacey Boldt was pleased her side stayed focused on the task at hand against the Wolfpack. "We just take it game by game," said Boldt. "The minute this game ended that is when we start preparing for Regina." Early in the semifinal clash at SMF, the Wolfpack did have success moving the ball offensively collecting a number of first downs. The Valkyries halted the visitor's momentum with the big play. After the Wolfpack failed to score on their first drive, Boldt hit veteran receiver Marci Kiselyk on a 61-yard touchdown strike to put the hosts up 7-0 after just their first offensive play of the game. Valkyries receiver Marci Kiselyk hauls in a big-play catch. Saskatoon's second offensive play resulted in a 63-yard touchdown run by tailback Julene Friesen. On the Valkyries fourth offensive play, Boldt connected with receiver Carly Dyck on a 48-yard touchdown strike. Boldt said the early scores allowed her side to settle into the game. "It takes a lot of weight off the defence's shoulders and us as an offence going along the rest of the game too," said Boldt. "It was a great way to start the game." Before the first quarter ended, Friesen put the Valkyries up 28-0 scoring on a 96-yard touchdown run. The big plays kept coming in the second quarter, as Saskatoon built a 56-0 lead. Boldt hit Kiselyk on a 35-yard touchdown strike, running back Kelsey Murphy ran in a major from 27 yards out, Boldt found Dyck for 77-yard score through the air and Friesen ran in another major from 76 yards out. By halftime, Boldt completed all 10 of her pass attempts for 292 yards, and the Valkyries combined for 345 yards rushing. "It is a huge confidence booster for us," said Boldt about all the big plays. "We are seeing lots of different people play different positions right now. We are just gaining confidence game after game. "I just think we just came together as a team. We had a lot of injuries and bruises along the way here. We knew we had to bring our best game, and I think we did that." After a scoreless third quarter, Rienna Rueve kicked a 22 yard field goal to put Saskatoon up 59-0. The Wolfpack finally got on the scoreboard, when quarterback Amy Mohr connected with receiver Char Mash-Hadlow on a 14-yard touchdown pass. Valkyries QB Stacey Boldt fires a strike downfield. Valkyries tailback Sam Matheson ran in the game's final score from 26 yards out. The Valkyries and Riot meet in the Prairie Conference final for the fifth consecutive year. Saskatoon won the four previous encounters and proceeded to move on and win the WWCFL title in each of those campaigns. This season, the Valkyries slipped past the Riot 28-19 on May 19 in Regina. The Riot then bombed the Valkyries 49-9 in Saskatoon on May 30. The third encounter might be the most anticipated head-to-head match between the two squads. "It is going to be a great game," said Boldt. "We look forward to playing them every year. They are our rival. "We need to bring our A-game. We need to make up for kind of the last time we played them." If you have any comments about this blog post, feel free to email them to stankssports@gmail.com. Check out more photos of the Valkyries win on twitter @StanksSports. Sam Matheson zips down the sideline for the Valkyries. The Saskatoon Valkyries are perfect in the playoffs, and they don't want that fact to change any time soon. Since the Western Women's Canadian Football League was formed in 2011, the Valkyries have won every league title that has been up for grabs. The goal for the 2015 campaign is to complete a drive for five season. The post-season begins for the four-time defending WWCFL champions on Sunday, when they host the Winnipeg Wolfpack at 1 p.m. at Saskatoon Minor Football Field in a Prairie Conference semifinal match. Saskatoon has won 11 straight playoff games, and at some point in time, that run will come to an end. The chance to win five straight league championships is something that is mostly beyond the dreams of anyone that plays any sport. If the Valkyries pull out the league championship this year, it might end up being their most memorable championship run. For only the second time in their history, they did not finish first in the Prairie Conference. They finished second at 3-1 behind the 3-1 Regina Riot. The two teams split their two head-to-head regular season meetings, but the Riot held the standings tiebreaker outscoring the Valkyries 68-37 in their two meetings. The last encounter saw the Riot thump the Valkyries 49-9 in Saskatoon on May 30. Saskatoon has lots only two games in its history, and the 40-point setback was largest margin of defeat in those two losses. The Valkyries have a chance to show their resiliency in a way they never had before. The only other time the Valkyries lost came back on May 12, 2013 on the road against the Riot in Regina 15-7. Valkyries running back Julene Friesen thought that setback played a big role in making a push to win the league title in that campaign. "I know that to get better you need to have some tough games, and you need to have losses," said Friesen. "I think the other girls took it pretty hard, because the girls that have been playing for three years had never experienced a loss before. "I think that loss helped us definitely as a team that year." Valkyries DL Lauren Bourdon (#90) wraps up a Wolfpack runner. The Wolfpack finished 2-2 in the regular season, with both of their victories coming over the 0-4 Manitoba Fearless. In the only meeting between the Valkyries and Wolfpack this season, Saskatoon came away with a 75-0 blowout victory. On paper, you would expect the Valkyries to come away with another easy win. The Riot face the Fearless in the other Prairie Conference semifinal in Regina on Sunday, and the Riot will be beyond huge favourites to take that contest. The Valkyries will be playing at home for the final time in the 2015 campaign, unless Regina finds some way to slip against the Fearless. Before one can think about what could happen next week, there is business to take care of this week. A long playoff push has to begin with a first step. Saskatoon product Kaylyn Kyle is about to hit the century mark. The 26-year-old midfielder will officially make her 100th appearance for Canada's National Women's Soccer team the next time she steps on the pitch with that squad. Barring something unforeseen, that 100th match will be Canada's first round playoff game on Sunday against Switzerland in Vancouver at the Women's World Cup (5:30 p.m. Saskatchewan time, CTV). Kyle's games played total includes all her international "A" totals. To make it to 100 appearances with Canada's National Women's Soccer team is a huge accomplishment. There are a large number of talented women's players coming up through Canada's system, and Kyle's talent and hard work have allowed her to remain with the big club. Judging by media reports coming out of Vancouver, the match between Canada and Switzerland is closing in on a sellout at B.C. Place. Canada only scored twice to earn a win and two draws to finish first in Group A in the preliminary round. Hopefully, a goal gusher comes for Canada on Sunday to help make Kyle's 100th match memorable for good reasons for the host side. The racing scene in Saskatoon has a big following, and no one might be more respected than racing veteran Jim Gaunt. Gaunt has been racing as part of the Saskatoon Stock Car Racing Association since 1980 winning 13 class championships. The first came in 1984 and the last title win in 2011. I caught up with Gaunt for a feature article for the Saskatoon Express. I have received a lot of positive feedback about the story and it can be found here. If you have any comments about this blog post, feel free to email them to stankssports@gmail.com. The Huskies women's hockey team plays at the Rutherford Rink. Oh Rutherford Rink, how I love thee, but you really have to go. You were great for a while, and maybe longer than you should have been. With that said, you have become that former boyfriend or girlfriend, who doesn’t realize the relationship is over and keeps trying to hold on to what once was. I don’t want to hurt your feelings, but you are a dump. You are 85-years-old, and in the last like 30 years, you haven’t aged well at all. As far as rinks go, you make the late Moose Jaw Civic Centre, which was also known as “The Crushed Can,” look like the MTS Centre in Winnipeg. Rutherford Rink, a lot of your charms have fallen away over the years. You invented the rust break. 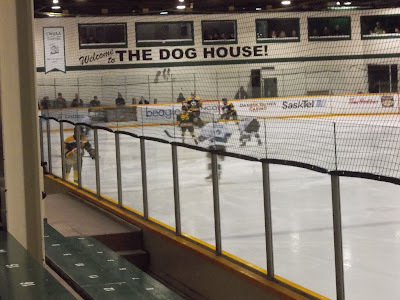 The University of Saskatchewan Huskies men’s and women’s hockey teams just love it when a puck flies into your roof causing rust to fall from the corroded support beams on to the ice surface. 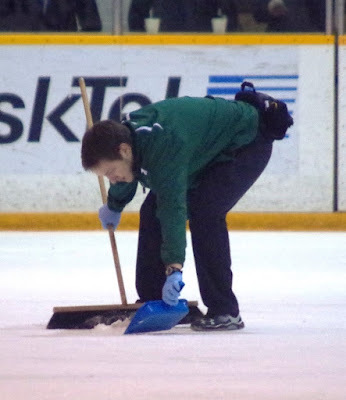 The training staffs for both squads then get to show their athletic abilities by leaping the boards with scrappers and shovels to remove the problem. They have become so adept at this unlisted function of their job that Huskies hockey games still wrap up on average in a swift two hours and 15 minutes in real time. I do realize the rust might be a little helpful. It does reflect off the ice surface creating a pink haze on game tapes, which has to hamper the preparation efforts of opposing clubs. You also spring up with some unwanted surprises. Last September, water shot out of a goalpost hole where the net sits on your south side. I know last summer contained a lot of hot days, but Huskies didn’t want to go running through water fountains like little children, when the upcoming hockey season was about a month away. Also Rutherford Rink, you are unbelievably cold. Spectators have long become accustomed to venturing outside to warm up during intermission breaks when it is minus 30 C in the middle of January. A rust break clean up at the Rutherford Rink. Because of this fact, the concession stand could make a killing in hot chocolate sales, if it wasn’t contained in a cubbyhole lobby area. You have been great in helping the Huskies with team bonding over the years. When you are stuck in a small closet style dressing room, it is impossible not to find out what is happening in the lives of all your teammates. At times, it feels like you have more personal space riding the bus on road trips. With all your drawbacks Rutherford Rink, you have provided a tonne of amazing memories. You were the place where captain Willie Desjardins and the Hustlin’ Huskies skated to fame under head coach Dave King. They won the school’s only national hockey title back in 1983. Since then, the Huskies men’s team has captured a number of other Canada West titles, with the last coming in 2012 in your confines. Brett Ward scored in triple overtime to give the Huskies a 2-1 victory in the championship clinching game against the U of Calgary Dinos. You also played host to that marathon Canada West women’s championship series between the Huskies and the U of Regina Cougars in 2014. The best-of-three series went the distance with every contest going to overtime spanning 17 periods and 296 minutes of ice time. Canadian Interuniversity Sport rookie of the year Kaitlin Willoughby netted the series winner for the home side in double overtime for a 2-1 victory in Game 3. No one who was present will ever forget that night, and the Huskies players and coaches can reflect on the post-game celebration like it just happened. In January, you played host to that heartwarming fundraising night for former Huskies forward Cody Smuk, who is battling cancer. The upbeat feelings that came when Smuk dropped the ceremonial faceoff for that clash with the U of Alberta Golden Bears were better than words can describe. Spectators pack the stands at the Rutherford Rink. Those were great memories Rutherford Rink, and the atmosphere inside your walls is incredible, when the spectators are shoehorned into the stands. We will cherish those times forever. The fact is you are not in the condition to keep making future memories. With the Huskies gone for summer, you are currently giving lodging to Gainer the Gopher and his cousin Leonard in a basement we didn’t know you had. They seemed to move in at the end of April, which gave more than a month’s worth of space before the Saskatchewan Roughriders arrived for training camp. The tunnels they created at the base of the south end can’t be good for your health Rutherford Rink. You need to be replaced as soon as possible. Your time is long past Rutherford Rink. It is time for the Huskies hockey teams to move into a new home. We all need to say goodbye to you forever. If you have any comments about this tongue and cheek post regarding the Rutherford Rink you would like to pass along, feel free to email them to stankssports@gmail.com. Wherever my life travels have taken me, I have found outstanding individuals. For just a plain feel good exercise, I thought I would list a few people who are “beauties” and make life just so much better. By no means is this list complete or even in any sort of order. I am just hoping it creates some good, upbeat and positive energy. Kabree Howard in action for the Huskies. The University of Saskatchewan Huskies are so going to miss her. For five seasons, Howard was more than just a point guard on the Huskies women’s basketball team. She just made life better for everyone at the U of Saskatchewan. The Regina product was the heart of the Huskies program, who was everyone’s best friend and always knew the right thing to say to pick up someone’s spirits and motivate them. She also seemed to get out to every community event the Huskies held, and volunteered to help out numerous other community projects. When her final season was complete, Howard won the Huskies team award as the program’s all-around female athlete of the year. The 23-year-old has also excelled in the classroom being constant academic all-Canadian. While she has exhausted her playing eligibility, the Huskies would be wise to find a permanent position for her within their athletic department. All Howard has done is make the Huskies look good, and you can’t put a price on that. Ridley has been the play-by-play voice of the Medicine Hat Tigers for all 45 seasons of their existence and drove the team bus for the majority of that time. Les Lazaruk, who is the play-by-play voice of the Saskatoon Blades, called Ridley the dean of all WHL broadcasters, and the label fits. Between the regular season and post-season, Ridley has called all but one of the Tigers games. 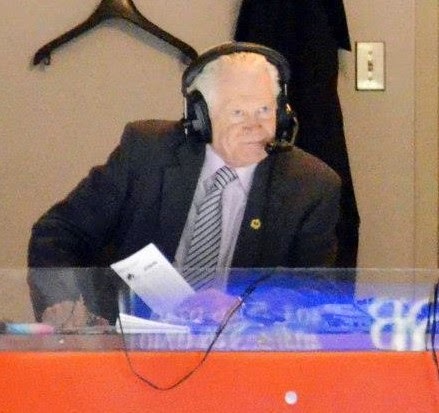 He has worked 3,219 of the team’s 3,220 regular season contests, all 388 of the club’s contests in the WHL playoffs and all 20 games the team has played in at the Memorial Cup tournament for a total of 3,627 contests. Ridley, 70, is a WHL legend and icon. Back in 2006, he was the recipient of the WHL’s Distinguished Service Award. There is hope that one day he will find his way into the Hockey Hall of Fame, and he is deserving of a spot with the game’s all-time greats. The best part about Rids is he has always taken all the accolades that have come his way in a humble manner, and he has never made himself that big of a deal. The press box in the new Medicine Hat Regional Event Centre, which is nearing completion, will be named after Ridley. Last season was the first campaign Ridley wasn’t the full-time bus driver for the Tigers since the early 1970s. He does admit he is getting older, and he needed to depart from that role. Ridley has been blessed with great health for his whole life, and here is hoping he will still be calling Tigers for a few more season’s in the future. When the day comes you no longer get to hear “he scooorrrreeeesss” on the radio, it will feel like something is missing. Cody Smuk and Stephanie Vause watch a Huskies men's hockey game. 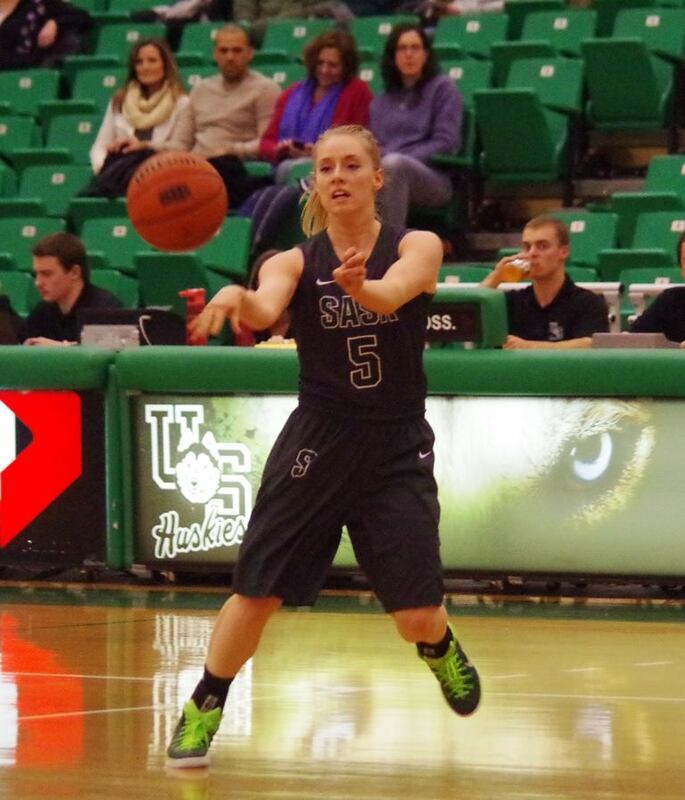 The former U of Saskatchewan Huskies athletes, who are engaged to me married, never cease to be inspiring. When Smuk was diagnosed with cancer just over a year ago, the resolve this young couple has displayed has been breathtaking. Smuk, who was a forward with the Huskies men’s hockey team, has always been a hard-working and ultimate team guy. Vause, who was a member of the Huskies track and field team, never wavered as a source of outstanding support for Smuk. She started the Gofundme page to raise money to help Smuk in cancer battle. The funds have been used to send Smuk to Germany for an alternative vaccine treatment. The doctors took a sample from the cancerous tumour in Smuk’s chest and created a vaccine for it, and the initial news is that the treatment is working. Smuk proposed to Vause in late December of last year. In February, the couple won a Dream Wedding Contest, which was organized by Crystal MacLeod of RSVP Event Design. Smuk and Vause have impressed all of their supports throughout Smuk’s cancer battle. They deserve nothing but good things to keep coming their way. 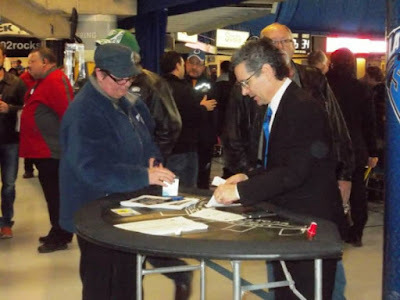 Steve Hogle, right, works the card table at the Blades Vegas night. The president of the Saskatoon Blades has become the public face of the hockey club. Hogle arrived in Saskatoon in September of 2013 and became Blades president under the club’s new owner Mike Priestner. Since landing in the Bridge City, Hogle hit the ground running to do his best to become part of his new community. Any time the Blades are engaged in a community event, Hogle is front and centre ensuring that everything is organized. He has represented the team in all sorts of forums, and on game nights, he can always be found on the concourse level interacting with fans. He has developed a reputation for being fun and energetic, and he helps add a lot of spark to the club’s various nightly promotions. That includes have a very noticeable joy of being part of the hoopla during the club’s Las Vegas night, where Hogle can be found working a card table. Away from the Blades, Hogle can be found wandering Saskatoon doing various other activities like taking in other sporting events like the Canadian Interuniversity Sport Men’s Volleyball Championships at the U of Saskatchewan or checking out a Shakespeare on the Saskatchewan play performance. Once thought to be a lifer with CTV News in Edmonton, Hogle has found a home in Saskatoon. Kandace Cook zips down the ice for the Huskies. The gritty and hard-working forward in hockey always finds a place in your heart, and no one in the Canada West women’s conference was a feisty as Kandace Cook. She stands only 5-foot-2 but played the game like she was 6-foot-2. 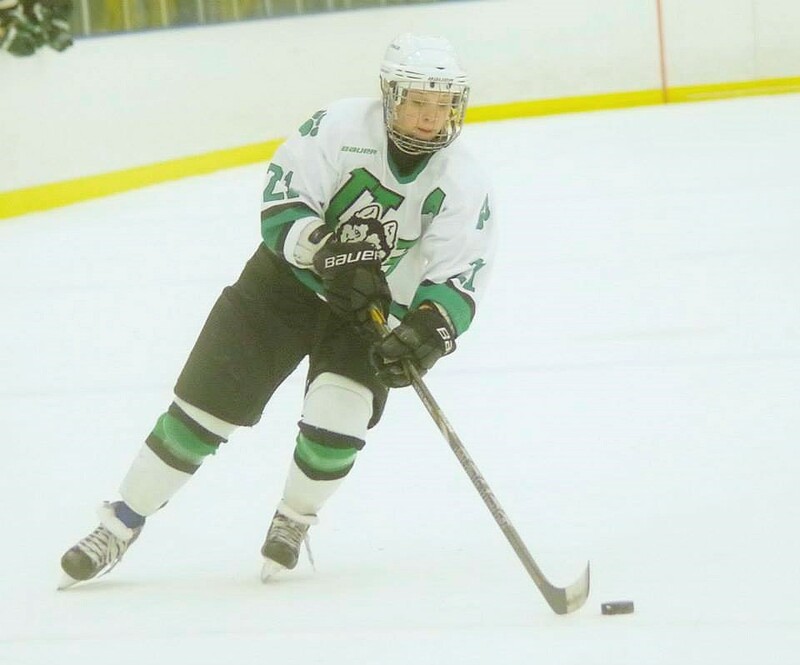 The Lloydminster product was spectacular in her fifth and final season with the U of Saskatchewan Huskies women’s hockey team. For the third straight season, Cook appeared in all of the Huskies 28 regular season games, and she had career highs in goals (13) and points (22). For her efforts, Cook was named the most valuable player of the Huskies women’s hockey team. When she is on the ice, you can tell Cook loves the game. She is not afraid to go in front of the net or into the corners, where players do still take a physical beating in the women’s game. Away from the rink, she is energetic, outgoing and is very popular with the rest of her teammates. Now that she has exhausted her university eligibility, the Huskies will definitely miss Cook next season, and could only wish to find five more players just like her. Away from the rink, you don’t have to know Cook long to learn that her other big passion is farming, and she can usually be found helping out the family farm operation. It was a big lift for the WHL, when Peter Anholt once again became employed with one of the league’s member teams in a role as a manager or coach. The Naicam, Sask., product was a respected, accountable and personable career coach in the WHL for much of his life. After guiding the Prince Albert Raiders to the playoffs in the 2006-07 campaign as head coach, Anholt parted ways with the club when his contract was allowed to expire in the off-season. Anholt had huge ties to the Raiders and to the Prince Albert community, and it was strange that he was no longer the team’s head coach. He was a defenceman on two national championship teams with the Raiders in 1979 and 1981, when the club was still a member of the junior A ranks. It seemed like he was meant to coach that team forever. 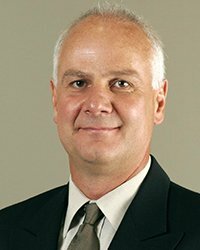 The former defenceman with the U of Saskatchewan Huskies men’s hockey team 1983 University Cup national championship team was hired by the struggling Lethbridge Hurricanes as an assistant general manager in June of 2014. The Hurricanes last made the WHL playoffs in 2009. Anholt’s arrival was the first huge positive step forward the team took in some time. In December of last year, the Hurricanes cleaned house firing general manager Brad Robson and head coach Drake Berehowsky. Anholt became the club’s new head coach and general manager. For the rest of the 2014-15 regular season, the Hurricanes were no longer an easy win for every other team in the league. The Hurricanes played inspired hockey and started rolling off some winning streaks. The coaching veteran treated the players with respect but still held them accountable. His biggest strength is his ability to instill confidence, and that could be seen when the Hurricanes took the ice. They still finished second last in the league at 20-44-5-3, but hope had returned to Lethbridge. In May, the Hurricanes signed Anholt to a three-year extension as the team’s general manager. On Thursday, Anholt hired long time Calgary Hitmen assistant coach Brent Kisio as the Hurricanes new head coach. The hire was a forward thinking move by Anholt bringing in an eager 32-year-old bench boss, who had been part of a winning program. Not so long ago, the Hurricanes were a franchise players wanted to leave. Under Anholt, players are now excited about the prospect of joining the Hurricanes. 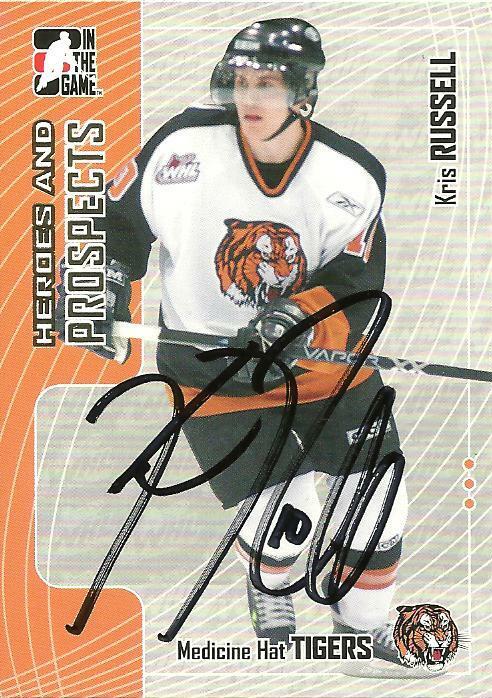 A Kris Russell card from his Tigers days. The Caroline, Alta., product is living proof that talent, hard work and persistence can take you a long way. 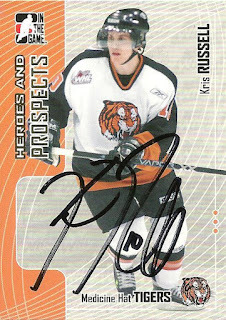 During his major junior days with the Medicine Hat Tigers, Russell was viewed as one of the most exciting players in the entire Canadian Hockey League helping Canada win gold at the world junior championships in 2006 and 2007 and being named the WHL’s MVP in the 2006-07 campaign. He also accumulated numerous other accolades in his four seasons with the Tigers from 2003 to 2007, and he was key in helping Medicine Hat win WHL championships in 2004 and 2007. Russell started his NHL career with an extended stay with the Columbus Blue Jackets before being dealt to the St. Louis Blues. The Blues built a deep back end, and traded Russell to the struggling Calgary Flames in July of 2013. With the Flames, the dynamic Russell was given a full out shot to excel, and he didn’t disappoint. This past season, Russell cemented a reputation for being a standout on the blue-line at the NHL level. In helping the Flames make the playoffs for the first time in six years, Russell established a new NHL record for most blocked shots in a season at 283, which broke the old mark of 274 set back Anton Volchenkov in the 2006-07 campaign with the Ottawa Senators. Russell, who stands 5-foot-10 and weighs 173 pounds, also set career highs in assists (30), points (34) and plus-minus rating (plus-18) playing 79 regular season games with the Flames. In the playoffs, Russell netted two goals, seven assists and blocked 54 shots in 11 games. Away from the rink, Russell has always been well mannered and has treated others with lots of respect. He is a good guy, and it is great to see success at the NHL level come to a good guy. 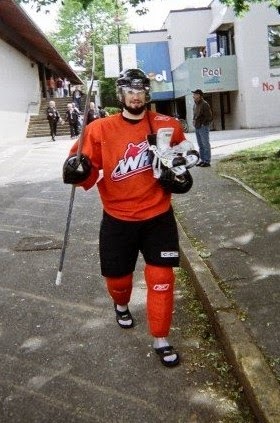 David Schlemko back in 2007. During his whole professional hockey career, David Schlemko proved that you can make it into the NHL as an undrafted player. The Edmonton product was never selected in the NHL Entry Draft, but he made it to the professional ranks after signing an NHL entry-level contract with the Arizona Coyotes in 2007. An offensive defenceman in his major junior career with the Medicine Hat Tigers, Schlemko was being molded into a power-play specialist as a member of the Coyotes franchise. He started in the Central Hockey League ranks, worked his way up through the American Hockey League ranks and joined the Coyotes on a full-time basis for the 2010-11 campaign. For a time, it seemed like Schlemko would be a career member of the Coyotes franchise. That all changed this season, when the Coyotes decided to go in another direction dumping a number of veterans to get younger. With his contact set to expire at the end of the season, he was placed on waivers after playing 20 regular season games with the Coyotes and claimed by the Dallas Stars in January. He played five games with the Stars before again being placed of waivers, and he was claimed by the Calgary Flames in early March. Joining his third team in the final year of his contact, you had to wonder if Schlemko would be cycled out of the NHL. He turned 28 in May, but lots of players get cycled out of the league at that age to make room for younger prospects. Schlemko has a good understanding of the realities of the business side of hockey, but he showed he still has a lot to offer at the NHL level in his time with the Flames. He made an immediate impact in his first game with the Flames. Locked in a 2-2 draw against the Bruins in Boston on March 5, the Flames sent Schlemko on the ice to win the contest in the eighth round of a tiebreaking shootout. He scored on a sick move to give the Flames a 3-2 victory. He appeared in 19 regular season games with the Flames posting a plus-six rating helping the club earn a post-season berth for the first time in six years. With star defenceman and captain Mark Giordano gone for the season with a torn biceps tendon, Schlemko provided a calming influence on the Flames back end. He also suited up for all 11 of Calgary’s post-season games posting an assist and a plus-one rating. Between the Coyotes, Stars and Flames, Schlemko appeared in 44 regular season games last season posting one goal, three assists and a plus-one rating. He is reliable on the back end, and the Flames would be wise to resign him. If the Flames believe they will have depth on defence, they could convert Schlemko into a forward. He has play making skills that would allow his to flourish at that position. Schlemko can still contribute at the NHL level, and hopefully he will get another contract with some team in the show. If he does get cycled out, he would depart on a high note. The Saskatoon Valkyries are heading into the Western Women’s Canadian Football League playoffs on a high note. On Sunday in Winnipeg, the Valkyries closed the regular season dumping the Manitoba Fearless 36-15. Saskatoon finished at 3-1, while Manitoba closed out at 0-4. Valkyries running back Julene Friesen had one of the biggest plays of the contest scoring on a 49-yard romp. The Valkyries finished second in the WWCFL’s Prairie Conference to the 3-1 Regina Riot. The Valkyries and Riot split their two head-to-head meetings, but the Riot held the standings tiebreaker outscoring the Valkyries 68-37 in their two regular season tilts. Regina closed the regular season by dumping the Wolfpack in Winnipeg 47-3. The Wolfpack finished off at 2-2. After a bye week, the WWCFL Prairie Conference semifinal games are slated for June 21. The Valkyries will host the Wolfpack, while the Riot host the Fearless. The start times for those matches are still to be announced. On June 13 at 7 p.m., the Valkyries are hosting a fundraising cabaret at the #38 Anavets – Army, Navy and Airforce Veterans club. It is an 18+ event. Tickets are $20 and can be purchased from any Valkyries player.